Haitians stranded in the Mexican state of Baja California because of tougher immigration controls in the United States want to “enter society,” said Jose Joseph, president of the Haitian Civil Movement in Mexico (ACMHM). “We want to get into society, show the public that we are capable people and we are professional people too, and we are people who need help,” Joseph said in a telephone conversation with Efe from the border city of Mexicali. 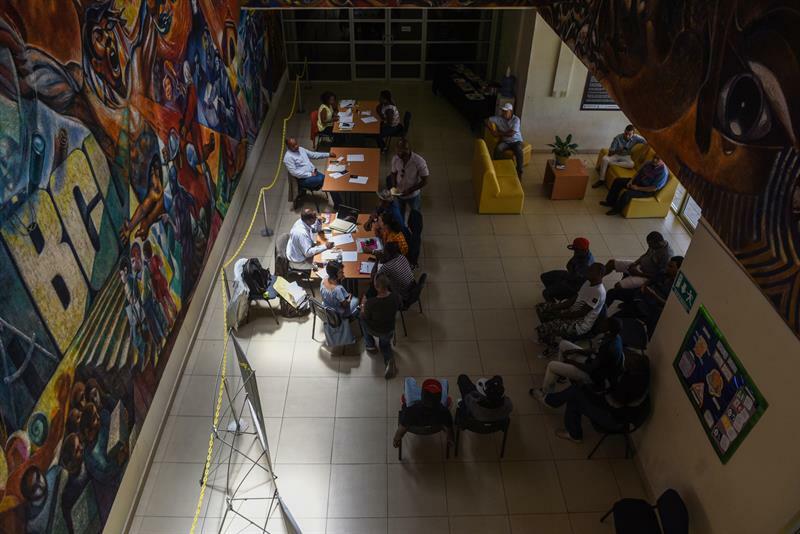 He said Haiti’s ambassador to Mexico, Guy Lamothe, has been in the area for about 22 days to help around 3,500 Haitians still remain in Baja California to obtain residence permits. “There are a lot of Haitians here who arrive without documents, so he is here to help them, for example, those who have nothing at all, he gives them a record.” Through this record they can go to the National Institute of Migration To do the process of humanitarian visa, “he said. Haitian citizens are treated at their embassy today, Monday June 12, 2017, in the city of Mexicali, Baja California state (Mexico). The ambassador, who is returning to Mexico City, plans to return soon to marry some Haitians who want to marry, he said. Joseph confirmed that the deadline for Haitians, who arrived in mid-2016 with the intention of crossing into the United States but was stranded by the reinforcement of immigration controls in that country, to be regularized by the end of September. “According to Migration, from September those who do not make their way will be deported,” he said. Finally, he appealed to the Mexicans to be ready to welcome them. “What we want the Mexican people is willing to help us. We ask that you help us,” he said.